Showing results by author "Lucas Enderman"
42 Essential Minecraft Jokes for Cyberspace, Overworld, Nether End More! 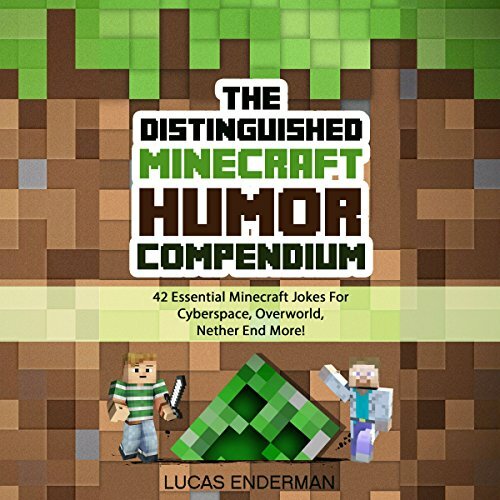 The Distinguished Minecraft Humor Compendium is a collection of the 42 silliest and funniest gruesome and entertaining jokes you will find anywhere in the Minecraft universe. Whether you are in the classroom sharing with your friends or just want to see a loved one enjoy some good laughs, this concise collection of Minecraft jokes, mined from the outskirts of the universe, is the perfect companion to the game.